No excuse to miss it! 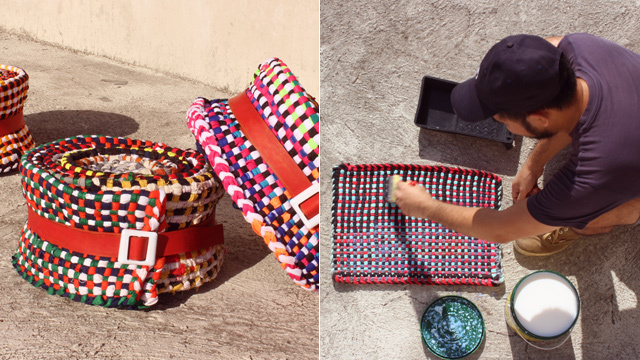 (SPOT.ph) Much to the delight of theatergoers, Eto Na! 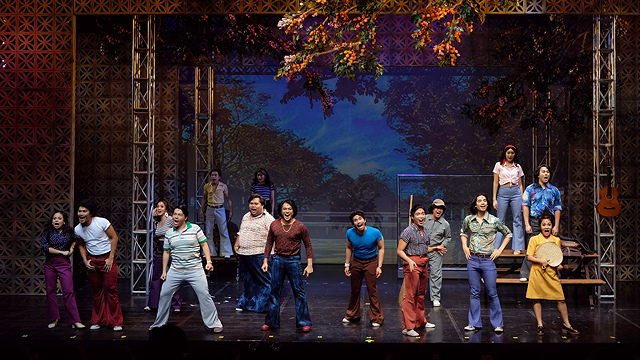 Musikal nAPO!—a musical told through the songs of Apo Hiking Society—returned to the stage in February after a series of sold-out shows in August 2018. 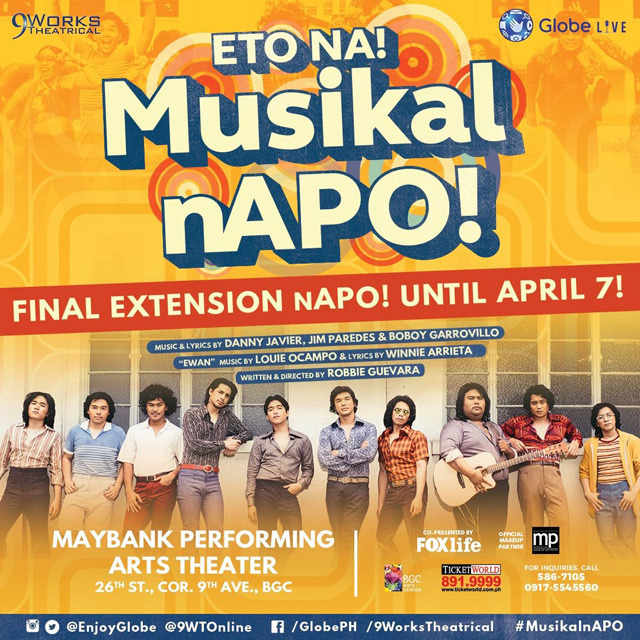 It looks like it’s taking Maybank Performing Arts Theater by storm once again as 9 Works Theatrical just announced yet another extension of the rerun: Eto Na! Musikal nAPO! will continue to wow the audience until April 7. This second (and final) extension doesn't come as a surprise for the well-received show. 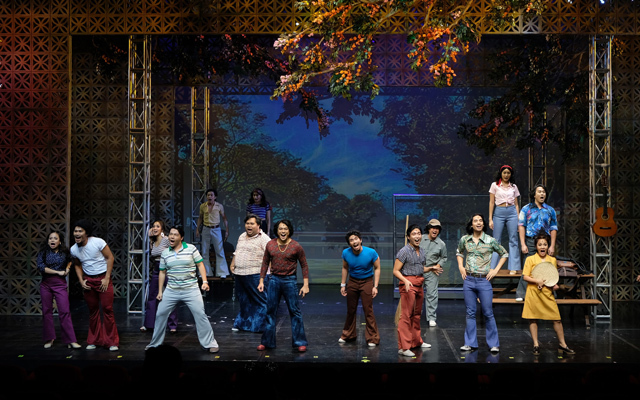 Its cohesive narrative, which is loosely based on the origin story of the 1970s Filipino musical group, is exceptional. For some jukebox musicals, this is not easily pulled off and songs just become simplistic add-ons—but not for Eto Na! Musikal nAPO! where the tracks are very organic. Starting from "Blue Jeans," we're introduced into this friendship of seven college students who share one passion: Music. The group eventually decides to join a songwriting contest, hoping to perform in the biggest local variety of the time. But life gets in the way, including having to deal with personal problems at home and in school. As it is set in the '70s, the script also calls for contextualizing the plight of student activists under Ferdinand Marcos' dictatorship. Not much was changed for the rerun. Why would you edit a book that's already tight, after all? 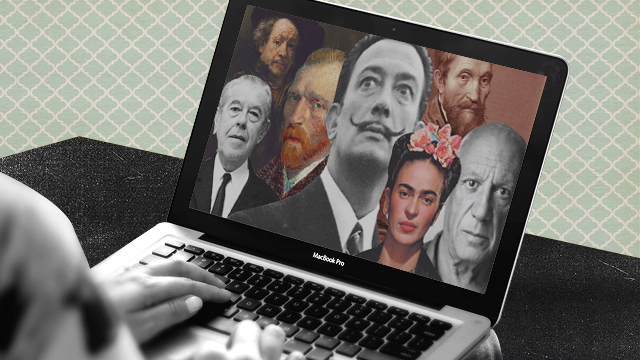 If any, the restaging just became better with the tweaking of music transitions that you'd want to watch it again—and feel the same whirlwind of emotions as if you're seeing it for the first time. Eto Na! Musikal nAPO! runs until April 7 at the Globe Auditorium, Maybank Performing Arts Theater, BGC Arts Center, 26th Street corner 9th Avenue, Bonifacio Global City. Tickets, priced from P1,500 to P3,600, are available through Ticketworld.